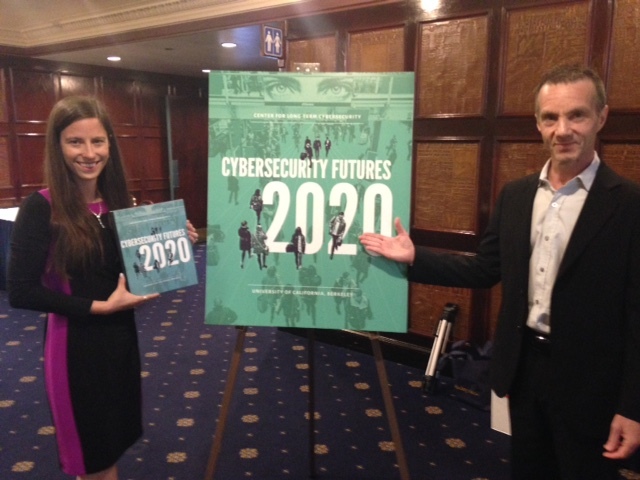 Download the PDF of “Cybersecurity Futures 2020”. How might individuals adapt to a world in which all online activity is assumed to be accessible by hackers? How could the proliferation of networked appliances, vehicles, and devices transform human society? What would be the consequences of powerful algorithms capable of predicting human behavior at a granular scale? Click here to view the scenarios report on the CLTC website. 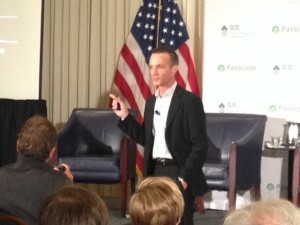 These are among the questions considered through “Cybersecurity Futures 2020,” a set of five scenarios released on April 28, 2016 by the Center for Long-Term Cybersecurity (CLTC), a research and collaboration center founded at UC Berkeley’s School of Information with a generous grant from the Hewlett Foundation. 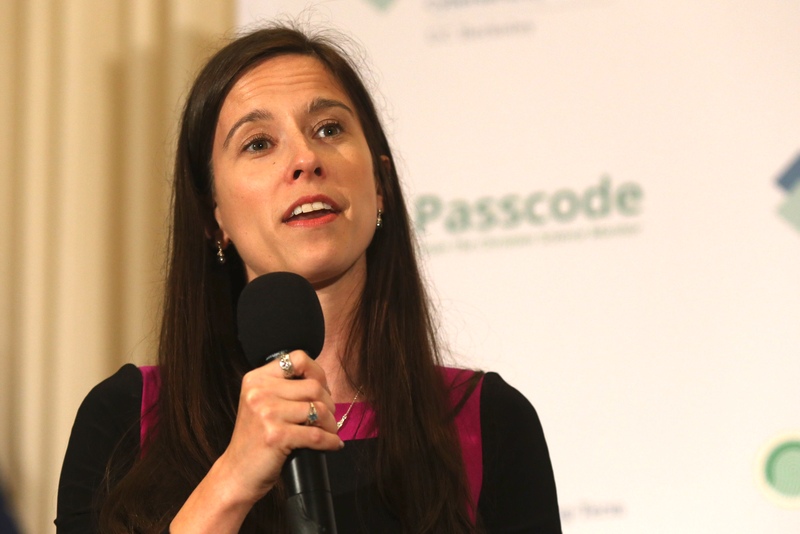 The Cybersecurity Futures 2020 scenarios are intended to help identify emerging areas of interest for researchers at UC Berkeley and beyond. 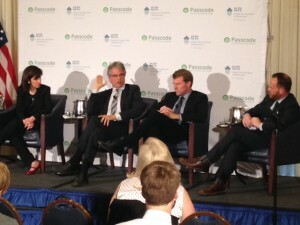 The scenarios were presented at the National Press Club, in Washington DC, during an event attended by an audience of roughly 120 guests, including members of the media, as well as invited representatives from government, industry, and other organizations. Dr. Betsy Cooper, Executive Director of the CLTC, opened the event by welcoming the audience and providing an overview of the CLTC’s mission and activities. Professor Steve Weber, Faculty Director of the CLTC, then provided an overview of two of the scenarios. He stressed that these narratives are not meant to serve as predictions, but rather aim to challenge current assumptions and explore how emerging and unknown forces could intersect to shape the future of technology and security in important and unexpected ways. The opening presentation was followed by two panels, hosted respectively by Sara Sorcher, Deputy Editor, and Michael B. Farrell, Editor, from Christian Science Monitor‘s Passcode. The panels featured discussions with technology luminaries about issues raised in the scenarios, as well as other important challenges facing the cybersecurity community. 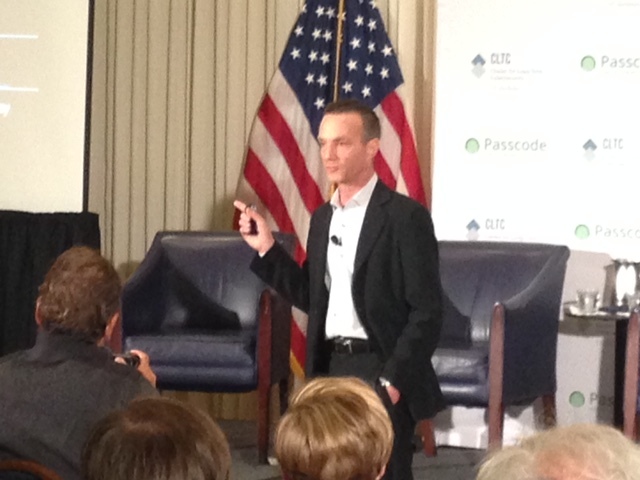 Moss also advised Internet users to use more discretion in their online behavior to avoid being hacked. “An ounce of prevention is worth a pound of cure,” he said. 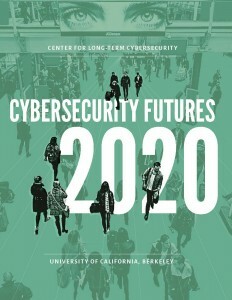 The full Cybersecurity Futures 2020 report can now be accessed online at https://cltc.berkeley.edu/scenarios, or you can download the report as a PDF here. To accompany the release, an article about the scenarios, written by Cooper and Weber, was published by The Conversation. 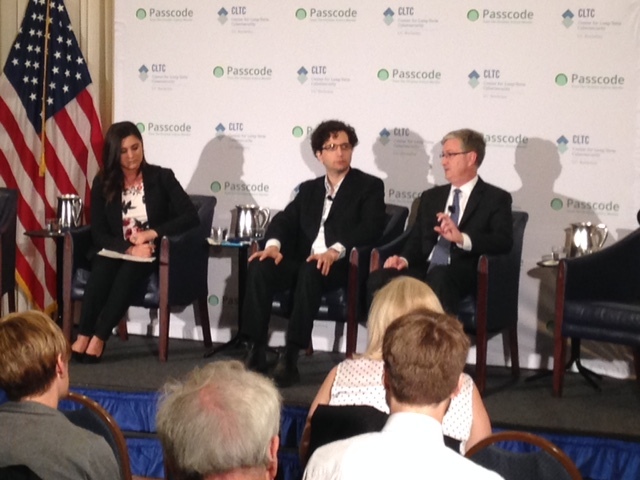 We welcome your feedback, and please help us keep the conversation going on Twitter at #cyber2020. You can follow the CLTC on Twitter at @CLTCBerkeley, or contact us directly at cltc@berkeley.edu. A video of the presentation can be seen below.